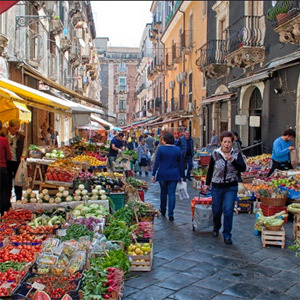 Just 10 explorers per tour are invited on this culinary journey through the back door of Italy ​that only an Italian living in Sicily can open, Laura Massoni of See Italy Travel. Throughout the tour, we will be joined by guides who live in the villages and will give us behind-the-scenes ​access and insight to the best of each stop. Take a peek at tour highlights in this video from our inaugural tour of Northern Italy to get an idea of what to expect. 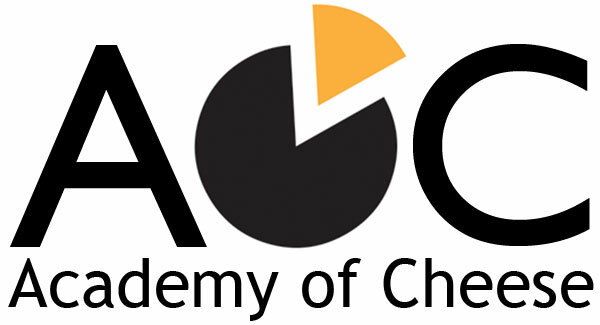 Includes pre-adventure meet-&-greet at Venissimo’s Academy of Cheese, gift bag, expert guides, park and museum ​entry fees and more. Excludes meals "at your leisure" and air fare to/from Italy (tour starts in Palermo, ends in Catania). Meet your guide at Falcone-Borsellino Airport (PMO) in Palermo, Italy, and transfer to hotel Plaza Opera in the heart of the city. Partake in welcome dinner at a winery where a local expert will introduce you to Sicilian gastronomic heritage. 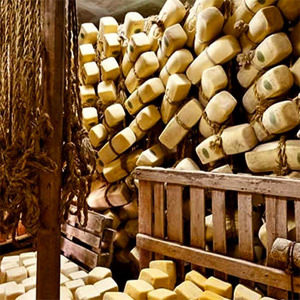 ​Visit a local dairy farm with a cheese tasting. Visit the charming medieval village of Castelbuono for a bakery tour and biscuit tasting. 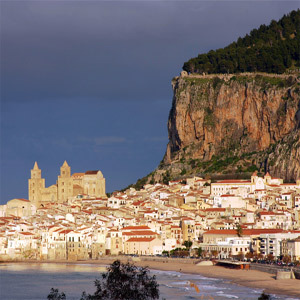 Transfer to Cefalu for a stroll through its picturesque alleys and the Duomo with gold mosaics of Christ Pantokrator. Visit a chaotic and fascinating puppet studio where "puparo" Salvo shares the ancient art of puppetry. Enter a Sicilian candy laboratory to see confectioners make candies based on a 120-year-old tradition. Live like a local and tour the open-air market, with lunch from street food vendors, the place for best local cuisine. 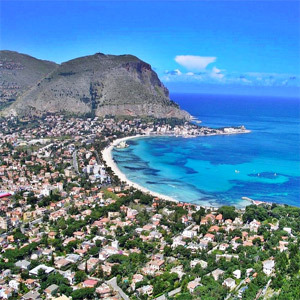 ​Depart for mountainous plateau city of Piana degli Albansi with a stop at Portella della Ginestra. Head to Agrigento on the southern coast and check in to organic farm resort Fontes Episcopi. ​The rest of the day and evening are yours to spend at your leisure. Take a guided tour through the UNESCO site of Valley of the Temples. Visit the Cistercian Monastery with a tasting of delicious almond and pistachio cookies baked by cloistered nuns​. Lunch in Agrigento at your leisure. 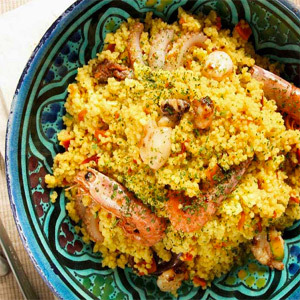 Roll up your sleeves for a class where you'll learn to prepare the Afro-Sicilian "cuscus," the pillar of Sicilian cuisine. Dinner includes your cous-cous creation plus local Sicilian wine. 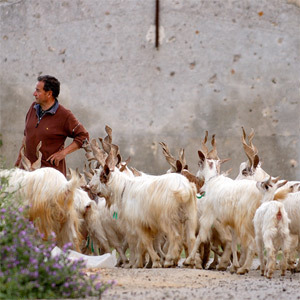 ​Join Peppe and Valeria, two guys who breed stunning Girgentane goats to make exquisite goat cheese. ​Visit their small dairy farm to indulge in their creations and learn the history of their work. Mosey to Sant'Angelo Muxaro for another visit to a local dairy family that produces fresh ricotta every day. 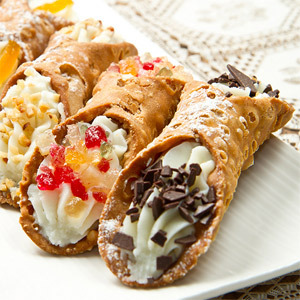 Partake in a light lunch in a typical Sicilian courtyard. Taste "pani cunzatu," bread with local olive oil and pepper, plus almond and honey cookies at a local bakery. ​Relax all evening in Agrigento at your leisure. Relax on the bus to Siracusa to check into Algila Ortigia Charme Hotel on the waterfront and enjoy dinner at your leisure. 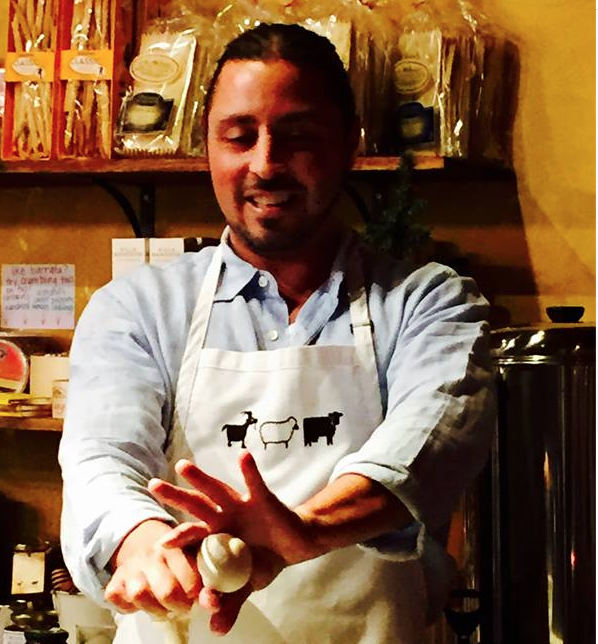 ​to a dairy that laboriously makes provola, ricotta and ragusano cheeses. Walk from Upper Ragusa to Ragusa Ibla to discover the medieval and baroque heritage of this ancient city. ​for chocolate imported by Spanish conquistadores in the 16th century. 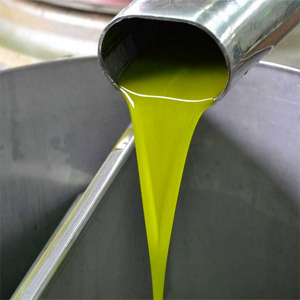 ​Enjoy an aperitivo or dinner on your own & explore Siracusa or Noto. ​Meet your chef in front of the Temple of Apollo in the small island city of Ortygia. Uncover the secrets to shopping like a chef for the best ingredients for the day's cooking class and lunch. Tour Ortygia, the city's historical center, showcasing Greek, medieval, baroque and Jewish myth, history and art. 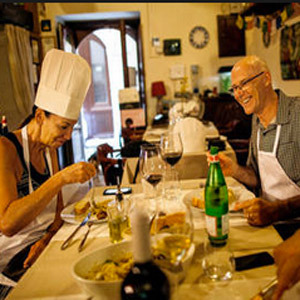 ​Partake in dinner at your leisure in Siracusa or Noto. 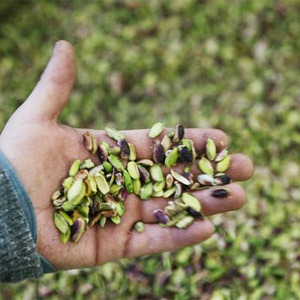 Stop by a pistachio farm, complete with a tour and tasting of what's known as Sicily's emerald green gems. 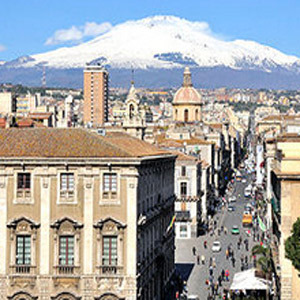 Head to a wine tasting and lunch at a winery on the slope of Mount Etna, the highest active volcano in Europe. Relax on bus to Catania before walking through Greek-Roman ruins, a famed cathedral and public garden. Check in to boutique resort Donna Carmela and explore and have dinner at your leisure in ​​​​Catania or Mount Etna. Breakfast & check out of hotel. Depart from Catania-Fontanarossa airport (CTA).